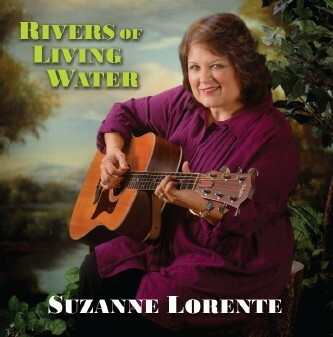 I took Suzanne Lorente’s, Rivers of Living Water CD with me on my road trip to Oregon. It was great company. The music is straight-forward and uncomplicated with clearly understandable lyrics. On the open road it was great sing-along music, and with the volume turned low it provided a soothing background when navigating unknown roads. All but one of the songs on the CD were new to me, which I found surprising because of my life-long immersion in Christian music — and that’s when I noticed that the words and music of almost every song are Suzanne Lorente originals. 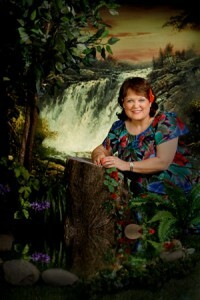 Suzanne’s voice is clear and strong and full of praise for God. Her music is fresh and refreshing, just as the title implies. This CD quickly became one of my favorites. Here is one of the songs, “Misunderstood.” This song is an original of mine written on January 1st of 2010. I am the voice for those who have been aborted, abused and misunderstood. This is quite sad, but it’s telling us that each one of these has identified with the misery, torture, and abuse that Jesus went through on the cross. Many 100’s of thousands have died a martyr’s death, and are with the Lord because He loves them. Please listen carefully! This could be such a blessing for the Christian pregnancy centers and homes of abused women and children. There’d be a world of compassion… no more pain! What He has to say is what matters….anyway! I agree. Suzanne’s songs are just beautiful. Thanks for posting, Quilly!